يجب إيقاف ونش الشوكة في المكان المخصص لهذه المعدات. تفعيل المكابح لضمان ثباتها واستقرارها. يجب وضع عصا ناقل الحركة على الوضع الحر أو الوضع المتعادل لعدم التشغيل الخاطئ. نزع المفتاح وإيداعه عند الشخص المسئول. يجب أن تستند الشوكة على الأرض مباشرة مع إمالتها للأمام قليلاً لعدم عرقلة المارة. لا تعيق المخارج والمداخل أو مسارات الهروب في حالات الطوارئ. لا تعيق أبواب ومهارب الحريق أو نقاط الحريق أو أماكن وجود تجهيزات الإطفاء. This Module provides trainees with general background information on occupational health and safety, and on the magnitude and variety of health and safety problems worldwide, and explains the role of the health and safety representative. (5) discuss the range of hazards in their own workplaces. the adaptation of work to humans. In other words, occupational health and safety encompasses the social, mental and physical well-being of workers, that is the “whole person”. 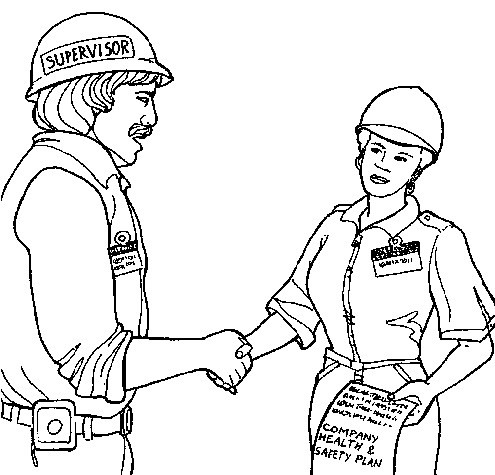 Successful occupational health and safety practice requires the collaboration and participation of both employers and workers in health and safety programmes, and involves the consideration of issues relating to occupational medicine, industrial hygiene, toxicology, education, engineering safety, ergonomics, psychology, etc. Occupational health issues are often given less attention than occupational safety issues because the former are generally more difficult to confront. However, when health is addressed, so is safety, because a healthy workplace is by definition also a safe workplace. The converse, though, may not be true - a so-called safe workplace is not necessarily also a healthy workplace. The important point is that issues of both health and safety must be addressed in every workplace. By and large, the definition of occupational health and safety given above encompasses both health and safety in their broadest contexts. Poor working conditions of any type have the potential to affect a worker's health and safety. Unhealthy or unsafe working conditions are not limited to factories — they can be found anywhere, whether the workplace is indoors or outdoors. For many workers, such as agricultural workers or miners, the workplace is “outdoors” and can pose many health and safety hazards. Poor working conditions can also affect the environment workers live in, since the working and living environments are the same for many workers. This means that occupational hazards can have harmful effects on workers, their families, and other people in the community, as well as on the physical environment around the workplace. A classic example is the use of pesticides in agricultural work. 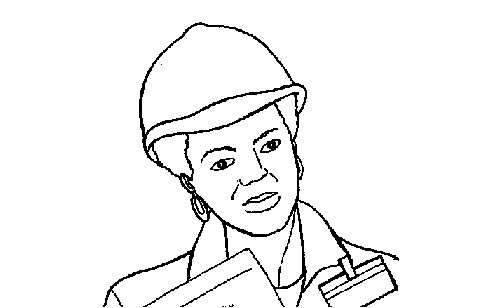 Workers can be exposed to toxic chemicals in a number of ways when spraying pesticides: they can inhale the chemicals during and after spraying, the chemicals can be absorbed through the skin, and the workers can ingest the chemicals if they eat, drink, or smoke without first washing their hands, or if drinking water has become contaminated with the chemicals. The workers' families can also be exposed in a number of ways: they can inhale the pesticides which may linger in the air, they can drink contaminated water, or they can be exposed to residues which may be on the worker's clothes. Other people in the community can all be exposed in the same ways as well. When the chemicals get absorbed into the soil or leach into groundwater supplies, the adverse effects on the natural environment can be permanent. Overall, efforts in occupational health and safety must aim to prevent industrial accidents and diseases, and at the same time recognize the connection between worker health and safety, the workplace, and the environment outside the workplace. Unfortunately some employers assume little responsibility for the protection of workers' health and safety. In fact, some employers do not even know that they have the moral and often legal responsibility to protect workers. As a result of the hazards and a lack of attention given to health and safety, work-related accidents and diseases are common in all parts of the world. How much does an occupational disease or accident cost? It has been estimated that the indirect costs of an accident or illness can be four to ten times greater than the direct costs, or even more. An occupational illness or accident can have so many indirect costs to workers that it is often difficult to measure them. One of the most obvious indirect costs is the human suffering caused to workers' families, which cannot be compensated with money. negative effect on morale in other workers. poor health and safety conditions in the workplace can also result in poor public relations. Overall, the costs of most work-related accidents or illnesses to workers and their families and to employers are very high. On a national scale, the estimated costs of occupational accidents and illnesses can be as high as three to four per cent of a country's gross national product. In reality, no one really knows the total costs of work-related accidents or diseases because there are a multitude of indirect costs which are difficult to measure besides the more obvious direct costs. worker health and safety efforts are ongoing. Effective workplace health and safety programmes can help to save the lives of workers by reducing hazards and their consequences. Health and safety programmes also have positive effects on both worker morale and productivity, which are important benefits. At the same time, effective programmes can save employers a great deal of money. Occupational health and safety encompasses the social, mental and physical well-being of workers in all occupations. Poor working conditions have the potential to affect a worker's health and safety. Unhealthy or unsafe working conditions can be found anywhere, whether the workplace is indoors or outdoors. Poor working conditions can affect the environment workers live in. This means that workers, their families, other people in the community, and the physical environment around the workplace, can all be at risk from exposure to workplace hazards. Employers have a moral and often legal responsibility to protect workers. Work-related accidents and diseases are common in all parts of the world and often have many direct and indirect negative consequences for workers and their families. A single accident or illness can mean enormous financial loss to both workers and employers. Effective workplace health and safety programmes can help to save the lives of workers by reducing hazards and their consequences. Effective programmes can also have positive effects on both worker morale and productivity, and can save employers a great deal of money. In general, health and safety in the workplace has improved in most industrialized countries over the past 20 to 30 years. However, the situation in developing countries is relatively unclear largely because of inadequate accident and disease recognition, record-keeping and reporting mechanisms. It is estimated that at least 250 million occupational accidents occur every year worldwide. 335,000 of these accidents are fatal (result in death). (Since many countries do not have accurate record-keeping and reporting mechanisms, it can be assumed that the real figures are much higher than this.) The number of fatal accidents is much higher in developing countries than in industrialized ones. This difference is primarily due to better health and safety programmes, improved first-aid and medical facilities in the industrialized countries, and to active participation of workers in the decision-making process on health and safety issues. Some of the industries with the highest risk of accidents worldwide are: mining, agriculture, including forestry and logging, and construction. 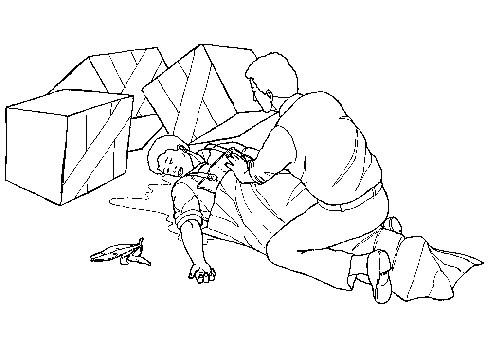 In some cases, the cause of an industrial injury is easy to identify. However, very often there is a hidden chain of events behind the accident which led up to the injury. For example, accidents are often indirectly caused by negligence on the part of the employer who may not have provided adequate worker training, or a supplier who gave the wrong information about a product, etc. The consistently high fatal accident rates in developing countries emphasize the need for occupational health and safety education programmes that focus on prevention. It is equally important to promote the development of occupational health services, including the training of doctors to recognize work-related diseases in the early stages. Exposure to hazards in the workplace can lead to serious illness. and noise-induced hearing loss (caused by noise, which is common in many workplaces, including airports, and workplaces where noisy machines, such as presses or drills, etc. are used). a lack of health care practitioners who are trained to recognize work-related diseases. Because of these reasons and others, it is fair to assume that in reality, the numbers of workers afflicted with occupational diseases are much higher. In fact, overall, the number of cases and types of occupational diseases are increasing, not decreasing, in both developing and industrialized countries. The cause of work-related diseases is very often difficult to determine. One factor is the latency period (the fact that it may take years before the disease produces an obvious effect on the worker's health). By the time the disease is identified, it may be too late to do anything about it or to find out what hazards the worker was exposed to in the past. Other factors such as changing jobs, or personal behaviours (such as smoking tobacco or drinking alcohol) further increase the difficulty of linking workplace exposures to a disease outcome. Although more is understood now about some occupational hazards than in the past, every year new chemicals and new technologies are being introduced which present new and often unknown hazards to both workers and the community. These new and unknown hazards present great challenges to workers, employers, educators, and scientists, that is to everyone concerned about workers' health and the effects that hazardous agents have on the environment. There are at least 250 million occupational accidents every year worldwide, at least 335,000 of which result in death. Developing countries have more fatal accidents than industrialized nations, emphasizing the need for health and safety education programmes that focus on prevention. Some occupational diseases have been recognized for many years and affect workers in different ways. Such diseases are still problems in all parts of the world. The numbers of work-related diseases in developing countries are much higher in reality than the numbers that are reported. The numbers of cases and types of occupational diseases are increasing in both developing and industrialized countries. 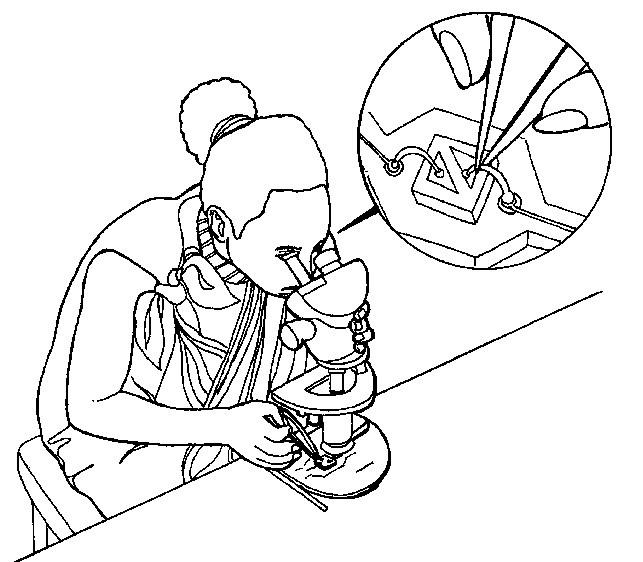 It is often difficult to identify the cause of both occupational accidents and diseases. 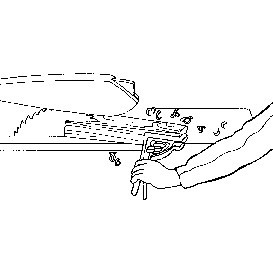 hazards associated with the non-application of ergonomic principles, for example badly designed machinery, mechanical devices and tools used by workers, improper seating and workstation design, or poorly designed work practices. Most workers are faced with a combination of these hazards at work. For example, it is not difficult to imagine a workplace where you are exposed to chemicals, unguarded and noisy machines, hot temperatures, slippery floors, etc. all at the same time. Think about your own workplace. Are there various hazards there that you can think of? Hazards are often built into workplace. Work processes can be designed to prevent accidents and illnesses. Existing hazards should be removed from the workplace. 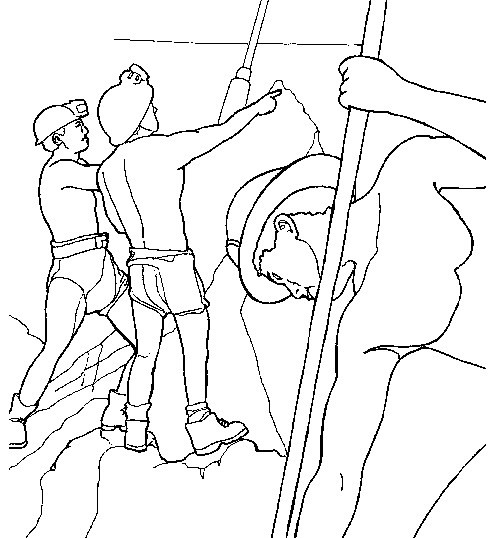 Workers do not create hazards - in many cases the hazards are built into the workplace. The trade union position on occupational health and safety is to ensure that work is made safer by modifying the workplace and any unsafe work processes. This means that the solution is to remove the hazards, not to try to get workers to adapt to unsafe conditions. Requiring workers to wear protective clothing which may not be suited or designed for the climate of your region is an example of forcing workers to try to adapt themselves to unsafe conditions, which is also shifting the responsibility from management to the worker. It is important for unions to maintain this position because many employers blame workers when there is an accident, claiming that the workers were careless. This attitude implies that work can be made safer if workers change their behaviour or if employers only hire workers who never make mistakes. Everyone makes mistakes — it is human nature, but workers should not pay for mistakes with their lives. Accidents do not stop simply by making workers more safety conscious. Safety awareness may help but it does not remove unsafe work processes or conditions. The most effective accident and disease prevention begins when work processes are still in the design stage, when safe conditions can be built into the work process. There is an unlimited number of hazards that can be found in almost every workplace. These include both obvious unsafe working conditions and insidious, less obvious hazards. 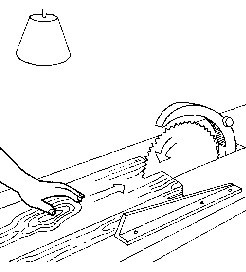 Hazards often are built into the workplace. Therefore, trade unions must ensure that hazards are removed, rather than trying to get workers to adapt to unsafe conditions. The most effective accident and disease prevention begins when work processes are still in the design stage, when safe conditions can be built into the work process. A successful health and safety programme requires strong management commitment and worker participation. In order to develop a successful health and safety programme, it is essential that there be strong management commitment and strong worker participation in the effort to create and maintain a safe and healthy workplace. An effective management addresses all work-related hazards, not only those covered by government standards. All levels of management must make health and safety a priority. They must communicate this by going out into the worksite to talk with workers about their concerns and to observe work procedures and equipment. In each workplace, the lines of responsibility from top to bottom need to be clear, and workers should know who is responsible for different health and safety issues. Strong management commitment and strong worker involvement are necessary elements for a successful workplace health and safety programme. An effective management addresses all work-related hazards, not only those covered by government standards, and communicates with workers. Effective training is a key component of any health and safety programme. insist that management make changes before hazardous conditions can develop. A comprehensive health and safety training programme in each workplace will, among other more obvious benefits, help workers to recognize any early signs/symptoms of potential occupational diseases before they become permanent conditions, to assess their work environment, and to insist that management make changes before hazardous conditions can develop. As health and safety representative your role is to work proactively (this means taking action before hazards become a problem) to prevent workers from being exposed to occupational hazards. You can do this by making sure management eliminates hazards or keeps them under control when they cannot be eliminated. 1. Be well informed about the various hazards in your workplace and the possible solutions for controlling those hazards. 2. Work together with your union and the employer to identify and control hazards. 3. Although these Modules have been developed for the protection of workers, you may occasionally need to share some of this information with your supervisors and employer in the process of working towards a safe and healthy workplace. Being a health and safety representative is not always easy, but helping to protect the lives of your fellow workers is worth all the time and effort you put into the job. Use a variety of sources for information about potential or existing hazards in your workplace. Workers in every occupation can be faced with a multitude of hazards in the workplace. Occupational health and safety addresses the broad range of workplace hazards from accident prevention to the more insidious hazards including toxic fumes, dust, noise, heat, stress, etc. Preventing work-related diseases and accidents must be the goal of occupational health and safety programmes, rather than attempting to solve problems after they have already developed. Hazards in the workplace can be found in a variety of forms, including chemical, physical, biological, psychological, non-application of ergonomic principles, etc. Because of the multitude of hazards in most workplaces and the overall lack of attention given to health and safety by many employers, work-related accidents and diseases continue to be serious problems in all parts of the world. Therefore, trade unions must insist that employers control hazards at the source and not force workers to adapt to unsafe conditions. Management commitment to health and safety and strong worker participation are two essential elements of any successful workplace health and safety programme. The most effective accident and disease prevention begins when work processes are still in the design stage. For this exercise, ask trainees to work in small groups of two to three people. Give several of the pictures in your text to each group. You will also need a flipchart (or some large sheets of paper taped to the walls) and markers or a chalkboard and chalks. The pictures below show different workplaces where a variety of hazards can be found. Ask trainees to look at the pictures and imagine what sort of problems might exist in each workplace. Write the trainees' responses for each workplace on a flipchart or chalkboard. Some of the major hazards associated with each of these jobs are given below. 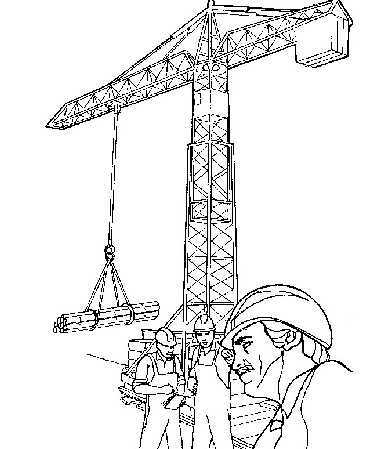 When you finish discussing the jobs shown in the pictures, discuss the hazards in the trainees' own workplaces. Trainees should discuss the questions listed in the section “In you own workplace” below. 1. 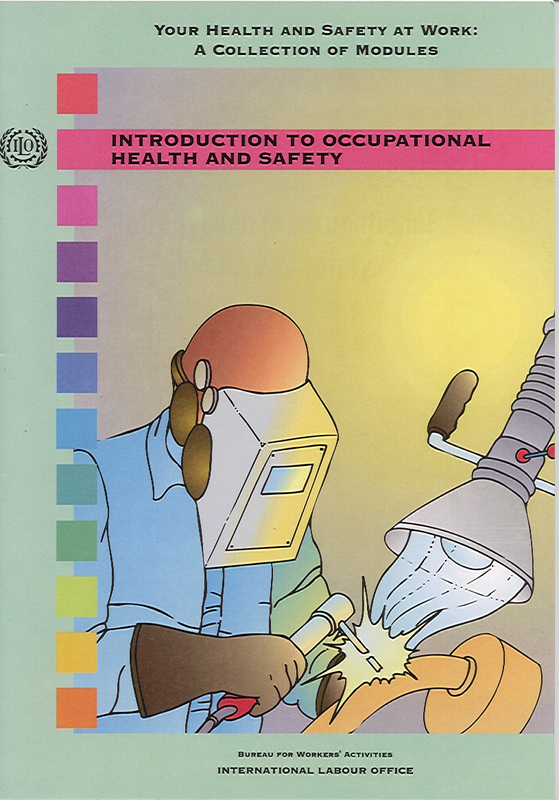 Welder — A welder can be burnt from the sparks and there is always the danger of the work process starting a fire. There is the problem of the intense light which can cause permanent eye damage as well as the fumes given off by the process which can damage the lungs. 2. 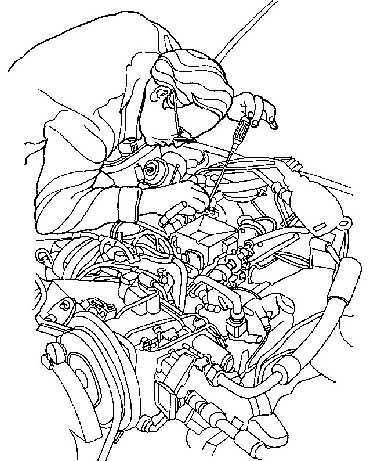 Mechanic - Depending on the precise nature of a mechanic's duties, there may be safety problems from cuts and falls, etc., and exposure to chemical hazards: oils, solvents, asbestos and exhaust fumes. Mechanics can also have back and other musculoskeletal problems from lifting heavy parts or bending for long periods. 3. 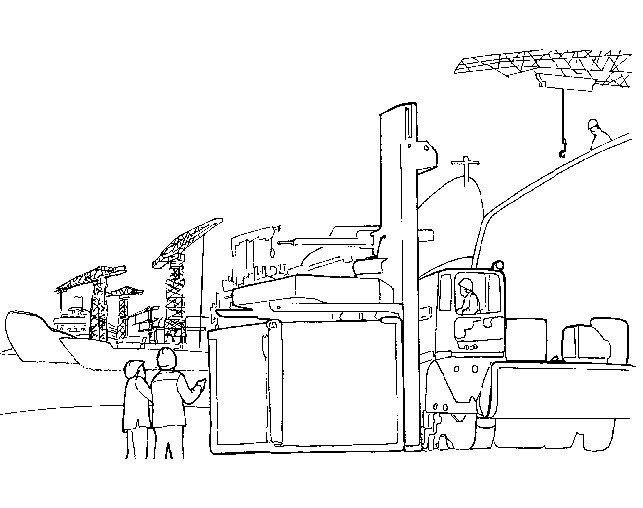 Port worker - Again hazards depend largely on the nature of the job and in particular the cargo being handled. Port workers often have no idea of the dangerous nature of the cargo; there may be a sign on the side of a box or drum, but the information may not be in their language or in words that make much sense to the average worker. The condition of the cargo is also important as leaking drums or split bags can be very hazardous for the handlers. Other risks include falls, cuts, back and other musculoskeletal problems as well as collisions with fast moving vehicles such as fork-lift trucks or delivery trucks. 4. 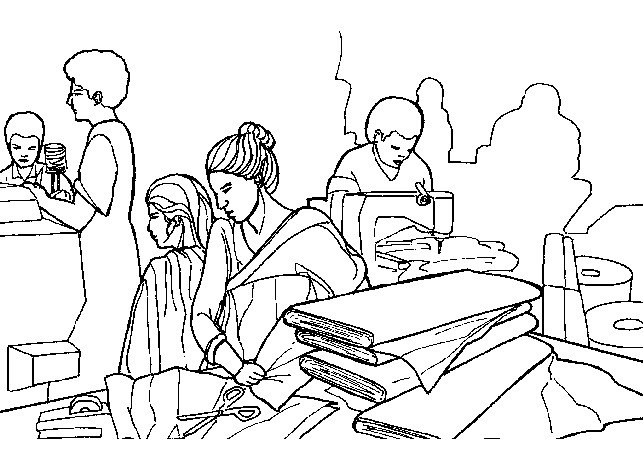 Textile worker - The textile worker faces a variety of problems. First there is the problem of safety with many machines around that are often unguarded, as well as the risk of fire with so much combustible material in the workplace. 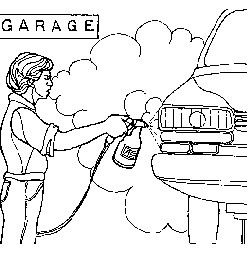 Then there are the hazards of noise and vibration. There is also exposure to dust from the material which can seriously affect the lungs. Exposure to cotton dust can lead to the occupational disease known as byssinosis. 5. 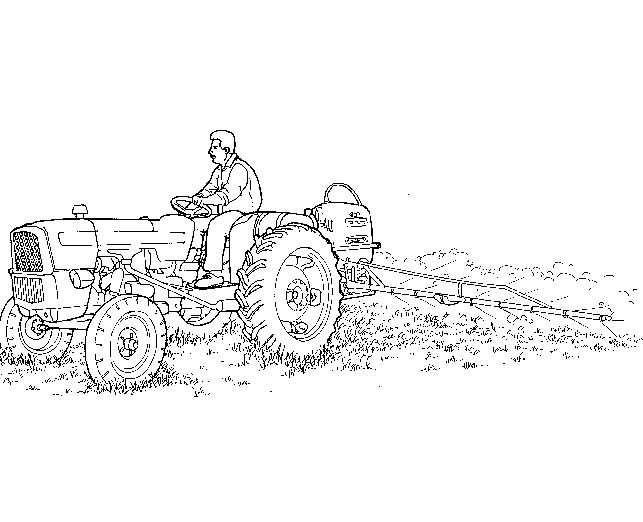 Tractor driver - One of the most serious problems with tractors is that they often overturn and, if they have no safety cab, the driver can easily be crushed. Other problems include noise, vibration and exposure to chemical herbicides and pesticides when being sprayed by tractor. 6. 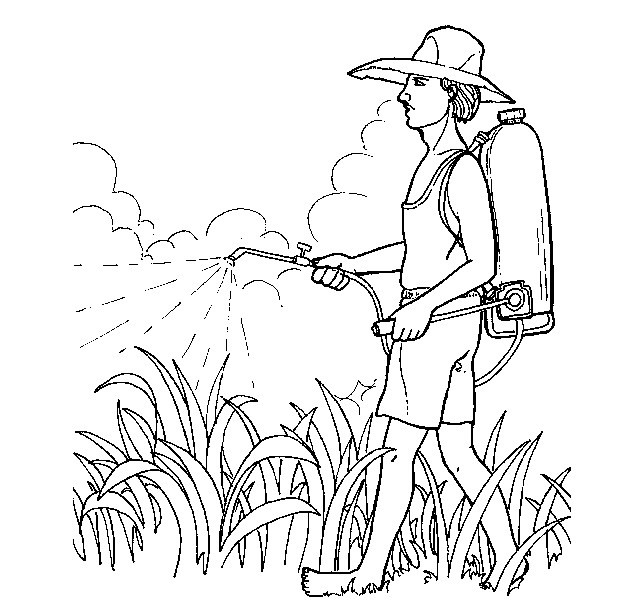 Agricultural worker - When spraying crops the worker may be exposed to hazardous chemicals contained in the spray. Many pesticides and herbicides that have been banned in some countries because of their toxic effects are still used in many developing countries. If spraying takes place on a windy day, the spray can be breathed into the lungs and blown on to the skin where it can cause damage. It can also be absorbed into the body through the skin. 7. 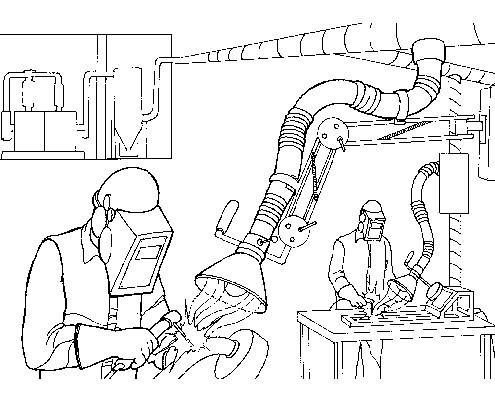 Electronics assembly worker - An electronics assembly worker can suffer eye problems from doing close work, often in poor light. Because such workers sit still for long periods with inadequate seating, they can also suffer from back and other musculoskeletal problems. For some workers there are the dangers of solder fumes or solder “flecks” in the eye when the excess solder is cut off with pliers. 8. 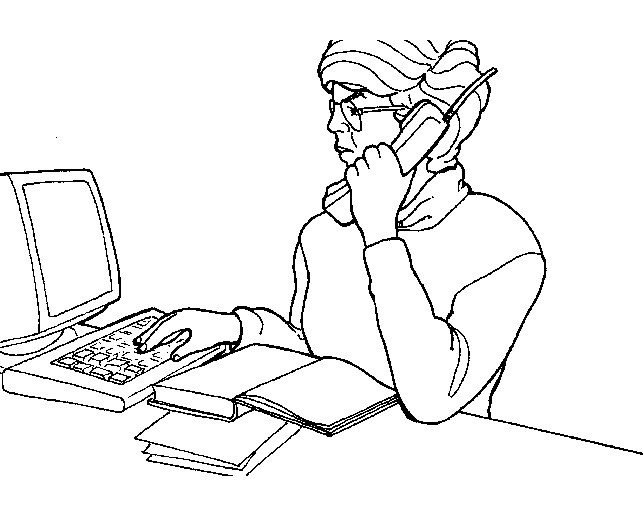 Office worker - Many people may think that office workers have no health and safety problems; this is far from true. Stress is one of the most common complaints, as well as exposure to chemical hazards from office machines such as photocopiers. Poor lighting, noise and poorly designed chairs and stools can also present problems. 9. Construction worker - Construction workers face a variety of hazards, particularly safety problems such as falls, slips, trips, cuts, and being hit by falling objects. There are also dangers from working high up, often without adequate safety equipment, musculoskeletal problems from lifting heavy objects, as well as the hazards associated with exposure to noisy machinery. 10. Miner - The hazards of mining are well known and include the ever present danger of dusts, fire, explosion and electrocution, as well as the hazards associated with vibration, extreme temperatures, noise, slips, falls, cuts, etc. 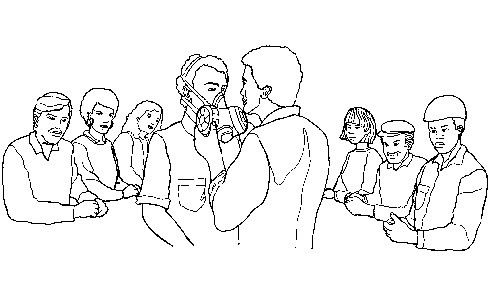 Now that trainees have begun to consider the possible hazards in different workplaces, ask them to consider and discuss the hazards in their own workplaces. Trainees should answer the following questions about their own workplaces. (1) Describe the job you do. (2) What hazards do you know exist in you workplace? (3) Are there other conditions at work that you suspect may be hazardous but you are not sure about? لا يقتصر وقوع حوادث العمل والأمراض المهنية على العاملين في الصناعة فحسب، بل يحدث ذلك أيضاً لدى العاملين في المكاتب؛ ويعود السبب في ذلك إلى عدم ملاءمة الكرسي أو سطح العمل أو البيئة الإبصارية أو درجات الحرارة أو الرطوبة، أو إلى وجود الضجيج، أو إلى عدم إتباع قواعد السلامة، أو عدم إجراء تمارين رياضية تفيد في تغيير الأوضاع السكونية أثناء العمل في المكاتب. للحفاظ على صحة وسلامة الموارد البشريه للمنشأة و الحفاظ على الموارد المادية المتمثلة بكل ادوات المكتب و الحصول على كفاءه في الاداء والعمل. تحديد مصادر السطوع؛ وضع مرآة على سطح المكتب والنظر إلى الصور. إن المصابيح المضيئة غير المحجوبة أو الأنوار الساطعة المنعكسة في المرآة تسبب السطوع. وضع المكتب، بحيث أن تكون النافذة إلى جانب العامل. وضع المكتب، بحيث أن تكون الأضواء السقفية على الجانب. تجنب وضع المكتب حيث يتركز الضوء في الأمام مباشرة. تعديل وسائل حجب نور النوافذ أو ثنيات الستائر للتحكم بالسطوع ومستويات الإضاءة. استعمال سطوح غير ساطعة وألواناً متعادلة الامتصاص على الجدران والأثاث. عدم تعليق صور أو أشياء لامعة حيث ينعكس الضوء إلى العينين. استعمال حامل أضواء قابل للتعديل بهدف زيادة مستوى الإضاءة إذا تطلب الأمر ذلك. استعمال إضاءة لا مباشرة لتجنب تشكل الظلال. البحث عن أسباب الارتعاش الناجمة عن وسائل الإضاءة الومضانية. استبدال الأنابيب الومضانية بانتظام، وصيانة وسائل الإضاءة الثابتة بشكل دائم. النظر إلى الأعلى وبعيداً عن سطح العمل عدة مرات لإراحة العينين. العمل بأوراق ومواد مطبوعة جيداً وواضحة. التسبب في امراض العين وضعف النظر . ضمان أن حجرات التخزين والممرات والأدراج مضاءة جيداً. إن مستويات الإضاءة الملائمة تعتمد على قدرة العين على التمييز وعلى نمط العمل. من الضروري مراجعة الجهة المسئولة عن الصحة والسلامة المهنية لمعرفة مستويات الإضاءة المسموحة. الضجيج في المكتب يزعج العاملين لذا يجب توفير وسائل الهدوء والراحة من اجل اداء العمل وتحقيق كفاءه وراحه ورضا للعمال. انتقاء معدات لا تسبب ضجيجاً. ضمان أن المعدات تتم صيانتها جيداً. عزل المعدات الصاخبة عن مناطق العمل العامة. وضع القلنسوات المخفضة للضجيج فوق المعدات الصاخبة. استعمال مواد تمتص الصوت كالسجاد والستائر والمعيقات الصوتية ووسائد الآلات الكاتبة. اختيار الحاجبات الصوتية وانتقاء مكانها بدقة. كذلك، إن موضع مصادر الإضاءة وحالة الجدران وسطوح المكاتب تبدل في مستوى الضجيج. استعمال حجرات المؤتمرات من أجل المناقشات التي يمكن أن تزعج العاملين الآخرين. تحديد موعد للعمليات الصاخبة التي تؤثر على الآخرين. أن الإنتاج العال مؤشر لجودة التهوية, حتى في درجات الحرارة العالية مع وجود هواء نقي يبقى الإنتاج عالياً , ولكن يكون عكس ذلك عندما يكون الهواء ساكن. زيادة فترات الراحة غير المسموح بها من قبل عمال المناجم. تناقص الإنتاج, وزيادة نسبةالأمراض, ويمكن أن يؤدي لفقدان الحياة. توفير نظام تهويه صحي . الفحص الدوري لأجهزة التهوية . اغلاق النوافذ في اوقات الرياح والاضطرابات الجوية. استخدام ادوات التبريد لوقت قصير وليس طوال الوقت . ابقاء الأجهزة الكهربائية والاسلاك بعيداً عن ممرات الموظفين واماكن جلوسهم. عمل صيانه دوريه للأجهزة الكهربائية . اطفاء الكهرباء في حالة القيام بإصلاح الأجهزة . التسبب في اضرار جسديه للموظفين . التسبب في اضرار حريق للمكتب . التسبب في تلف الأجهزة الكهربائية . التحميل الزائد على المعدة ممكن أن يؤدي إلى انهيار أجزاء التعلق الويرات. انبعاثات عادم الشكمان خطر تنفسها للعاملين. حدوث انفجار أو حريق بسبب تسرب الوقود أو عند شحن البطارية. الوقوف الغير جيد أمام أماكن دخول وخروج مما يؤدي إلى مشكلة في حالة الإخلاء. الشيل والنقل والمناولة في حالة تغير الشوكة وفي حالة تغير البطاريات لشحنها. الاهتزاز العالي يسبب آلام بأسفل الظهر.